Emotional intelligence, also known as E.Q., measures someone’s ability to understand and manage both their own emotions and other people’s. Rather than a different kind of intelligence, E.Q. broadens the very way intelligence is defined. Perhaps it would be best to start by comparing E.Q. with I.Q. Those with a high I.Q. are able to understand math, absorb and remember facts, use logic and reason, read and write fluently, and so on. Those with a high E.Q., on the other hand, are able to understand and cope with emotions. Of course, the healthiest and most well-rounded people make use of both. For example, if you were to study a play like King Lear, you would need a reasonable I.Q. to read it, analyze the plot and characters, and understand the use of meter and rhythm. But, to fully appreciate the key scene in which the old king carries his dead child onto the stage, you would need emotional intelligence. Traditionally, schools judged children by their I.Q. alone. Even today (however fiercely it may be denied by parents and teachers), children are still considered either clever or dim, meaning either they can solve mathematical equations, read difficult books, and pass exams, or they are of little use. This is absurd. As everyone knows, the ability to communicate and get along with other people is crucial to a happy and successful life. Indeed, according to Daniel Goleman, author of Emotional Intelligence, E.Q. is even more important than I.Q. It might be assumed that someone with a high E.Q. will be outward-focussed: able to empathize with friends in distress, calm arguments between neighbors etc. Of course, such people are able to do those things. But they are also able to understand and manage their inner world. The emotionally intelligent are self-aware. In other words, they can step back from their emotions and observe and analyze them as a therapist observes and analyzes her patient. They treat their anger, fear, and jealousy with the same calm detachment as a mindfulness practitioner treats his thoughts. And they can do this as the emotions arise. In contrast, many people are swept away by their emotions and able to analyze them only in retrospect. Emotional intelligence also makes it easier to live an authentic life. Many people can be tricked into believing that they feel things (pleasure, for example, or hate) when they do not. Such manipulation occurs all the time, from a politician using propaganda to an abusive husband convincing his wife that she is responsible for the violence. Some people can literally believe they are feeling hate or love when in truth they feel the precise opposite. But the emotionally intelligent are not only able to understand their emotions, they can also regulate them. This does not mean they can decide whether or not to feel something, but they do know how to bring their emotions under control. For example, a melancholic with a high E.Q. may teach himself to look for the positive, even though his instinct is to find the negative. Someone with a volatile temper, on the other hand, may train himself to see every situation from the other person’s point of view. Such awareness and control often depends on a rich emotional vocabulary. The better someone is at defining and labelling their emotions, the more control they are likely to have over them. Abused and neglected children often suffer a great deal because they cannot describe their anger and pain. This then causes frustration which leads in turn to violent, destructive behavior. The same can be seen among poorly-educated addicts, criminals, and prisoners. 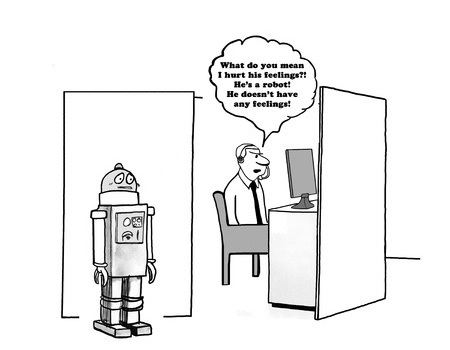 The emotionally intelligent person whose boss yelled at him would not say “it made me feel bad”. Instead, he would use words like “belittled,” “humiliated,” and “shamed”. And because they are better at defining their emotions they are better at dealing with them. The emotionally intelligent possess what is sometimes known as “sympathetic imagination.” Great artists often have this ability. The poet John Keats, for example, described Shakespeare as a man with “negative capability”, meaning someone who was able to escape the confines of his own personality and know what it was like to be a jealous husband, ambitious general, or teenage girl in love. Novelists like Tolstoy and Dickens also possess this ability. Such empathy is especially useful in the workplace. If you deal with the general public, for example, it can help to understand why a customer is angry or dissatisfied. Empathy can also help someone grasp the power dynamics and emotional currents at play in the office or factory. This in turn enables them to read situations and anticipate problems. Naturally, the empathetic make good managers and are often promoted. Unlike I.Q., which is pretty much fixed at birth, emotional intelligence can be improved. And it is important to try and do so. According to the website Talent Smart, 90% of the top performers in the workplace have high E.Q.s. First, you must learn to deal with failure and the emotions that accompany it. When you fail (which you will, over and over again), you must step back for a moment and see it for what it is. Do not allow the feelings of shame and anger to overwhelm you. Instead, put them into perspective. Indeed, with practise you can learn to respond calmly, even cheerfully, to failure, seeing it not as a disaster but as an opportunity to learn. Any self-made millionaire will tell you that they got where they are by learning from their mistakes. Next, you must learn to cope with change. Many people fear change and do all they can to avoid and resist it. But change, like failure, is inescapable. And learning to cope with the emotions it arouses is vital. Fortune’s wheel turns. When you are up, enjoy yourself – but be aware that it can turn the other way. It is also important to give people the benefit of the doubt. Always try to understand why someone behaves the way they do. For example, a colleague may be rude not because they wish to bully and dominate but because they are frightened and stressed. Try not to personalize bad behavior. People do not always mean to insult or hurt you personally. Of course, some people are obnoxious and unpleasant, and there will be times when you need to stand your ground and assert your needs. But ‘assert’ is the key word here. The emotionally illiterate cannot distinguish assertiveness from aggression. Emotional intelligence matters. Some people dismiss the very idea, claiming it is some kind of conspiracy to make stupid people feel better about themselves! But this is nonsense. A high I.Q. may get you through school, but a high E.Q. will get you through life.